I’m always late to the party. I have the best of intentions, the slickest of plans and a pile of cookies ready in a sandwich bag to bring along to any occasion. But in life, things like bad hair days, ripped tights and poor pancakes ruin the fun, leaving me flustered, upset and late. I always do it but it never gets easier. On Shrove Tuesday last week, I hummed and hawed over posting a recipe I knew wasn’t right. I tried the two ingredient pancake method that has crept across the internet of late, but there was nothing delicious or photogenic about these things. A mashed banana and a couple of eggs do not a good pancake make, no matter how suagr-free, gluten-free and diet-suitable it might be. They didn’t photograph well or taste of anything other than rubbery baby food and I had to stuff the idea to the back of the SD card archives. Ho hum. So Pancake Day passed me by. Last year I had a lot of fun with my flatmates making crepes at 11pm at night, slathering with sugar and lemon (and Nutella at the bequest of others). The next day we made fluffy, American style pancakes with caramelised apples and ate perched on the worktop as the flat became overrun with parents and friends as usual. This year, I made a batch of cookies and watched Call the Midwife. Fun, but certainly not like the memories of last year. I share Emma of Poires au Chocolat’s take on pancake eating, in that alone there is a certain amount of simple pleasure in a rolled up crisp crepe with sticky lemon juices mingled with a shower of caster sugar. 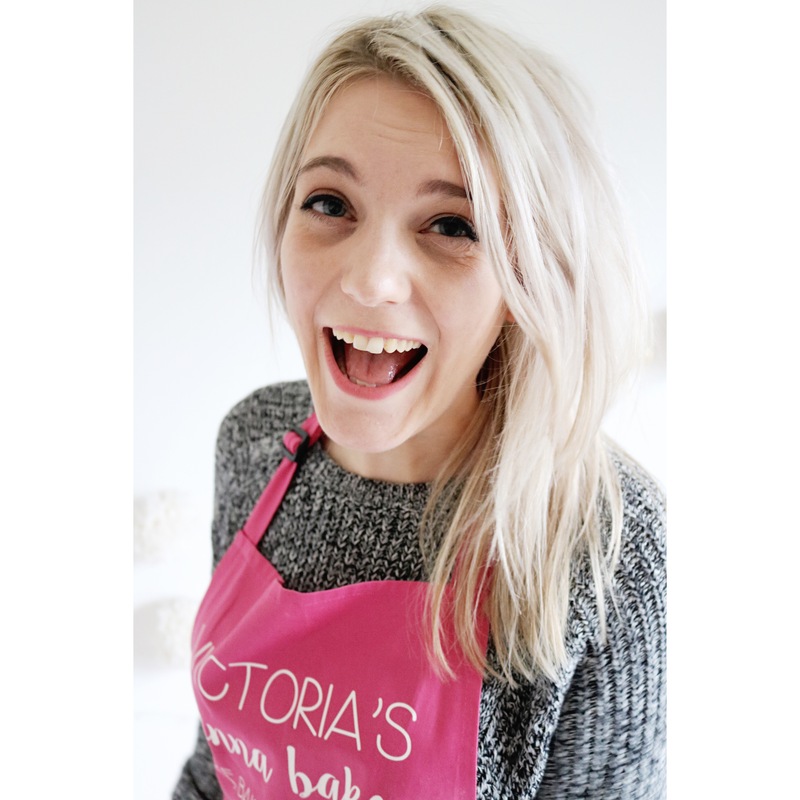 But I also feel that the shared moments are also wonderful, and my pancake day ended up being five days later with my boyfriend, with stacks of these lemon and poppy seed pancakes, crisp bacon and buckets of black coffee. With the first real sunshine of the year; bright and vivacious with a brisk chilled air, my 2013 pancake memories are far better deliciously late than blandly on-time. These pancakes combine a classic partnership that stays relevant for a reason. The flavour relationship exudes spring with its yellow and bluish flecks of colour in its sharp zest, sweet juice and crunchy seeds. 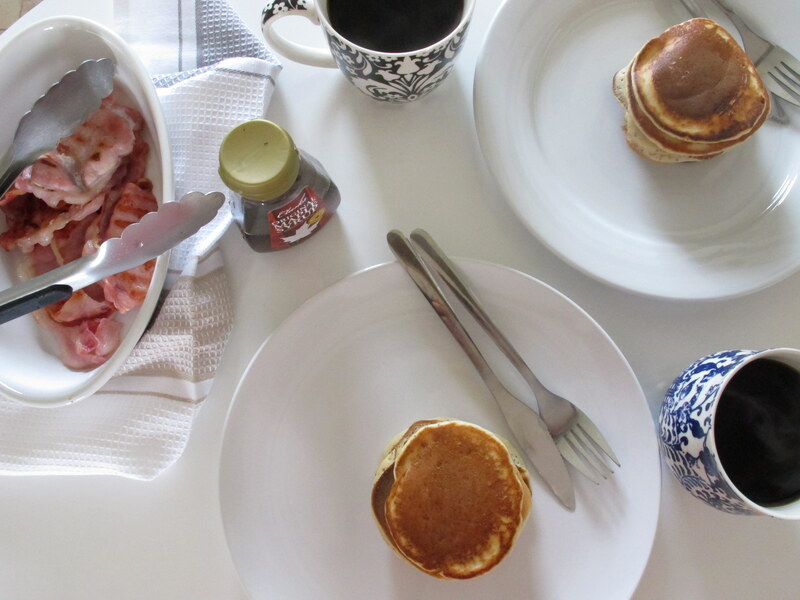 Fluffy and light, this stack adds just the right amount of sweetness to salted back bacon and a generous drizzle of maple syrup. 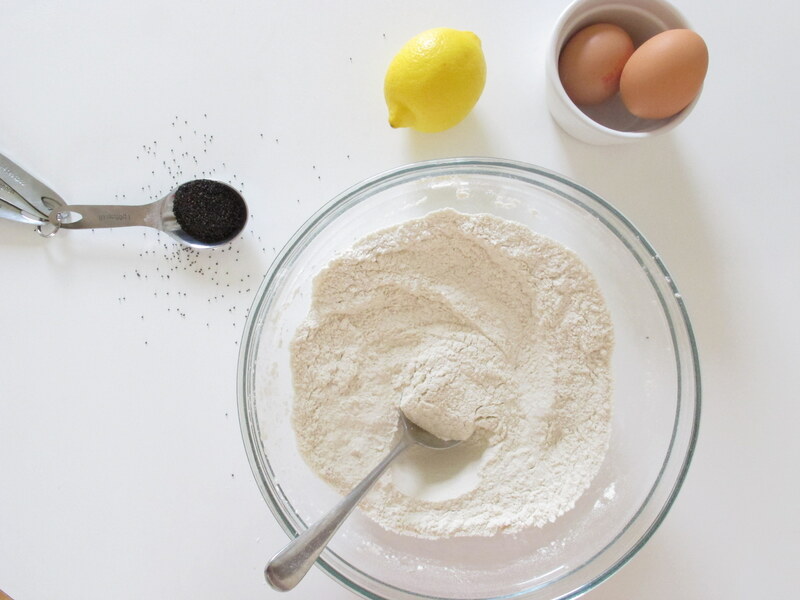 In a large bowl, whisk together the flour, sugar, baking powder and poppy seeds. Stir through the lemon zest then make a well in the centre of the dry mix. Crack in the two eggs and whisk with a hand mixer until incorporated. Add half the milk and whisk, adding the rest until the batter is smooth. 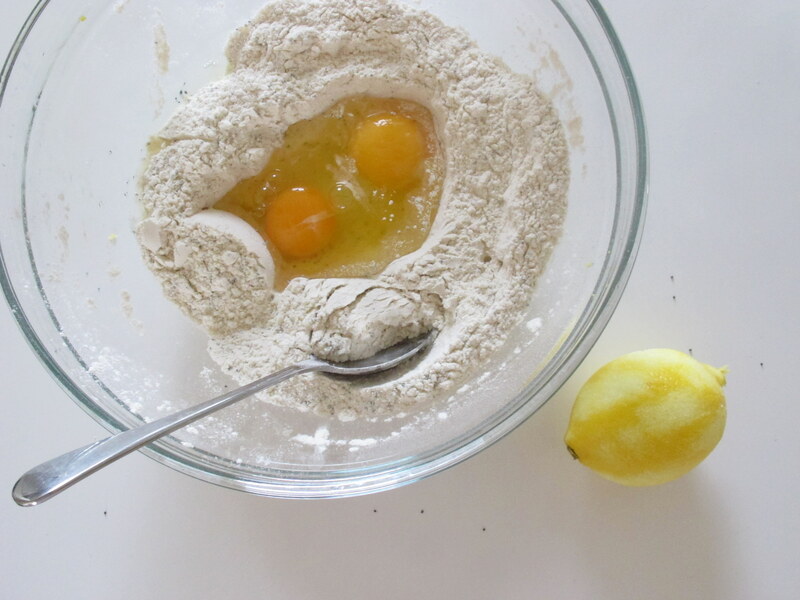 Squeeze in the lemon juice and whisk again. In a large non-stick frying pan, melt a knob of butter over a medium heat and spread across the pan. Dollop in tablespoons of batter, cook until bubbling, then flip and cook for a further minute. Remove and rest on a clean tea towel. Repeat until the batter is all used up then serve with crisp bacon and black coffee. 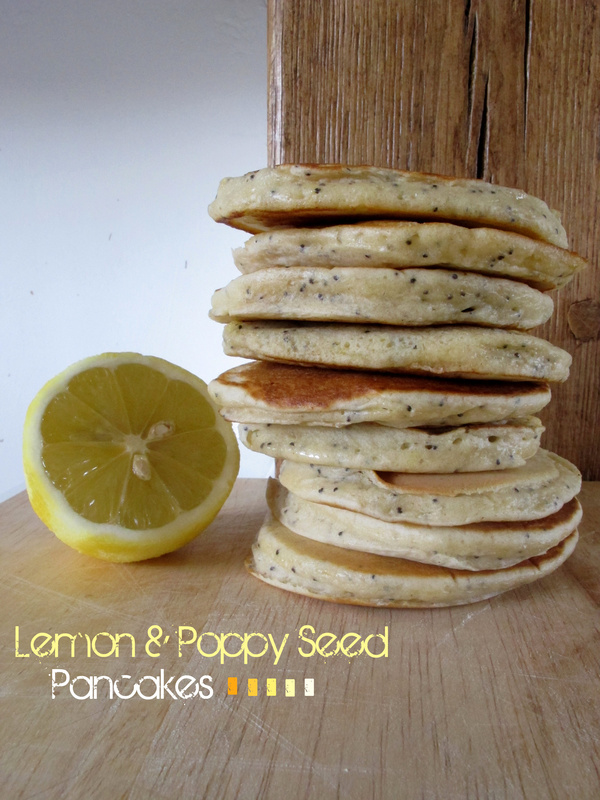 It’s great to see a new spin on traditional pancakes – it has never occurred to me to add poppy seeds. Great tip!